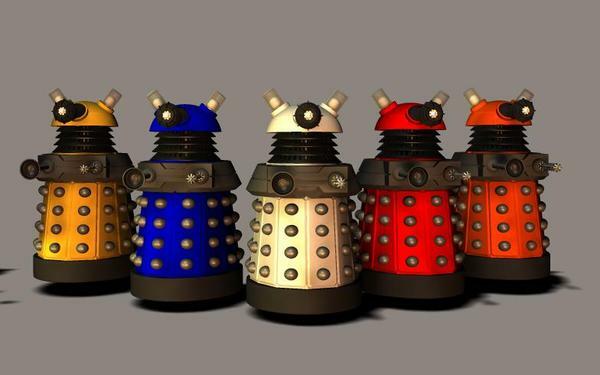 How about a thread full of Daleks? Where can I find some so I can render them with Genesis? Anyone up to some Dalek fun? Sam Therapy has a selection of Daleks at www.renderosity.com - just do a search in freestuff for exterminate. First image test on the new forums! The Daleks are ... Emoting! Fear not though - Doctor Moo shall save us! Do you have a steampunk Davros? Kool thread but not much notice due to the bug that does not allow one to bump the topic to the first page. 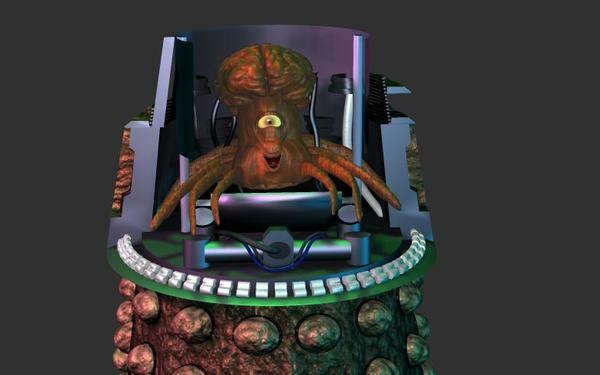 Sam Therapy has a new free Dalek at Renderosity. Some really cool images here, folks. Keep 'em coming. 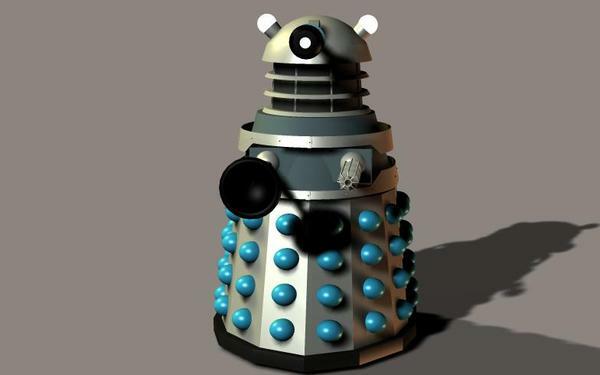 Here is another pic of my new Dalek, STLB GS, as it's catchily known. The GS is for Geometry Switching. You can get thousands of variations from one model with this setup, so you'll never run out of Daleks. Thanks, but there's still a lot of luck involved. For every image that I post, there are 3 or 4 images that didn't work out for one reason or another - usually lighting problems. Is this the closest we have to an official Doctor Who thread at this time, or is there one I haven't been able to find? I do not know of any Doctor Who threads at the moment. If it's not then perhaps it should be - not everybody appreciates Daleks. These guys don't..... Except as target practice. Oh, wait, they're Sontarans. All words are fighting words. i dont think its quite made the transition over here yet . 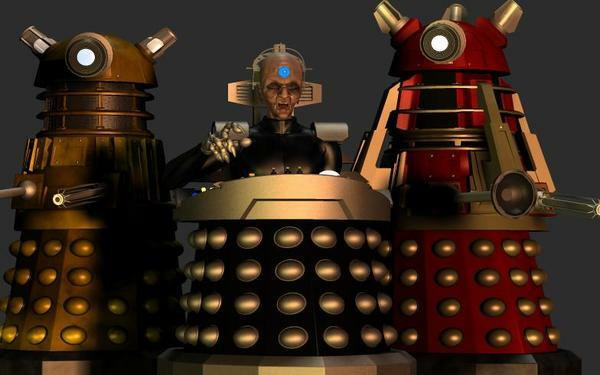 Just messing about with SamTherapy's latest Daleks (available from Renderosity). Just finished watching 'Death To The Daleks"
Found this on an old external drive. May as well post it! 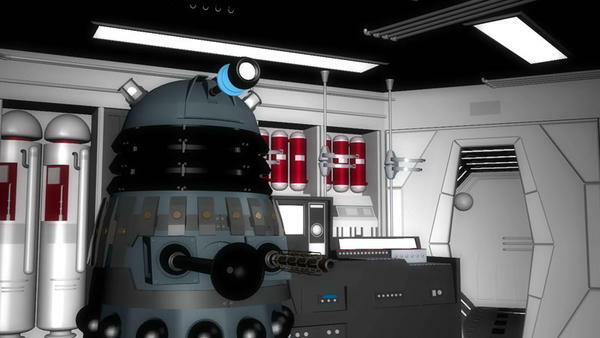 Just messing about with SamTherapy's latest Dalek. The red skirts always die first. 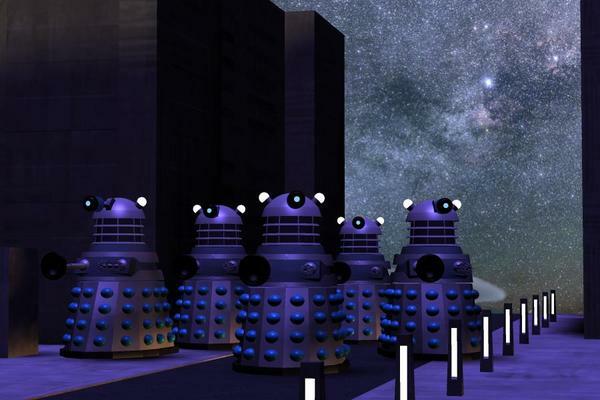 Just a little practice with DAZ and Photoshop... a Dalek investigates a famous movie spaceship.